Advice and Assistance for Bulk Orders, Business Christmas Hampers make the classic Corporate Gift Call 1300 284 684. Making the right choice when it comes to choosing Gift Hampers for Christmas is simple when you consider exactly what you are trying to achieve. Taking a few moments to consider exactly who you are giving your hampers to makes all the difference when your recipients actually receive their gift hamper. Important things like personal preferences, tastes in wine and food, and keeping in mind any medical or allergy concerns all goes into making your Xmas gift basket valued. As a gift hamper specialist with over ten years experience in managing online and phone orders in the crucial weeks before Christmas, our guest contributor in this article is well versed in the dos and donts of meeting your expectations from a sales perspective and is freely offering some handy hints and tips on what to look out for when you are dealing with a gift hamper supplier. Insider knowledge is priceless in this situation, where once you know some of the general industry-wide practices you will be empowered to make a better buying decision and ultimately get better value for your dollar. Please note, we share this with you on a basis that you do not breach a sort of “nod, nod, wink, wink” acceptance that whilst we are not pointing out any retailers or wholesalers in particular, you will be able to notice and observe the points we make when you are in the buying process with your hamper or gift basket supplier. When you want to make a lasting impression with a nod to authentic, handmade gourmet food, people just like you choose to share a Christmas Hamper. A Christmas Hamper is a selection of food items and drinks arranged in a container or hamper for ease of transport. Most likely your hamper arrives at the destination within a cardboard box, and the actual hamper be enclosed within some sort of stuffing and void filler. The actual hamper itself will be in a box or basket or container, and have some sort of wrapping cover like cellophane or heat sealed poly-ethylene to keep the products in place during transit. Just by describing the way the hamper arrives at your delivery destination shows how the appearance and presentation can be completely over taken by the sheer bulk of the enclosing big brown box. So it is crucial that your hamper providore uses some intelligent packaging solutions like a custom printed box, or at the very least a stencilled logo along with the delivery instructions. At delivery time, it is all about building expectation and creating a feeling of anticipation – and a well branded box complete with an established authoritative well-know brand works wonders at this. Nothing is more off putting than receiving an otherwise wonderful hamper in a recycled kitty litter box – for example. So be mindful of this and take the time to ask your preferred hamper specialist if this is a part of their service – if not – perhaps you should be dealing with a hamper company that does supply this as a part of their service. Christmas Island and the Cocos (Keeling) Islands are provided through the Western Australian Department of the Attorney-General. Although we are proud recipients of hampers. Everything Christmas is welcome on this blog I guess? 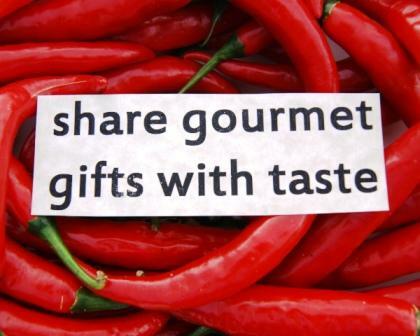 Click on any image of Xmas Hampers and Gourmet Gifts to see a larger version. This page may be slow to download due to the number of graphics. Charity Donation Christmas Hampers make a difference at this time of year - please, give generously. ApplesMichigan State University Extension provides educational programs and publications based on applied research for Michigan fruit crops including apples, pears, blueberries, brambles, plums, cherries, grapes, peaches and strawberries. Fresh Fruit is especially welcome at Christmas - it makes a refreshing balance to all the rich food on offer. 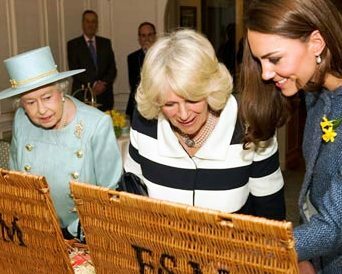 See Princess Kate and The Queen looking at Christmas Hampers - lovely photo of the ladies. Sending a Gourmet Christmas Hamper in Australia is something we all aspire to with our friends and family - if you have the chance to share one, do so before it is too late. Please give generously, we know a lot of little kidlets going without over the Holiday period. Meditate Australia. Awesome Inc. theme. Powered by Blogger.